The Nevada Athletic Commission has granted Jon Jones a one-fight license, granting him the opportunity to defend his UFC light heavyweight title against Anthony Smith at UFC 235. On March 2 from Las Vegas' T-Mobile Arena, another fight will include hard-hitting world champion striker Tyron "T-Wood" Woodley (19-3-1) puts his welterweight title on the line against Kamaru Usman in the main event of UFC 235. Tickets for the hotly-anticipated pay-per-view affair are available right here on AXS. Usman (14-1) earned his shot at the 170-pound kingpin after rattling off nine-straight wins inside the Octagon, including recent victories over top contenders such as Rafael dos Anjos and Demian Maia. The 31-year-old hasn't been defeated since 2013, an unbelievably impressive streak considering he's in arguably the most stacked division in the UFC. It also doesn't hurt that he has done his fair share to hype the rivalry by taking multiple digs at the champ on social media. 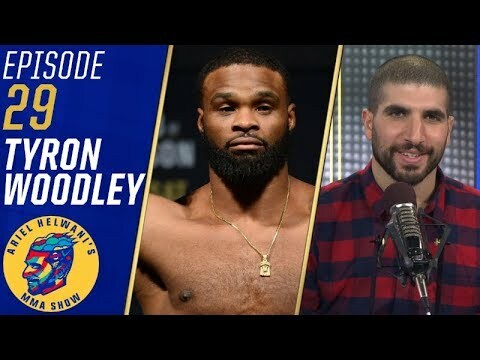 As for the 36-year-old Woodley, the Duke Roufus-trained talent is coming off an impressive win over stud British prospect Darren Till. Easily the most technically-sound fighter at welterweight, "T-Wood" looks to improve upon his current three-fight win streak. Initially, there was some controversy surrounding this championship match-up because Colby Covington was seemingly next in line for a crack at Woodley, following his emphatic victory over Dos Anjos. Covington's win over Dos Anjos earned him the interim welterweight title, but he was later stripped due to inactivity. Injuries and inactivity, among other reasons, led to Usman getting the fight against Woodley at UFC 235. UFC boss Dana White put his stamp of approval on it after watching Usman dismantle Dos Anjos. At the end of the day, the controversy might not matter all that much because the winner of this scrap will likely end up meeting Covington on a pay-per-view card before the year is out. In the co-main of UFC 235, Robbie Lawler welcomes promotional newcomer Ben Askren to the Octagon. Additionally, former bantamweight champ Holm Holm is expected to battle surging 135-pound prospect Aspen Ladd.